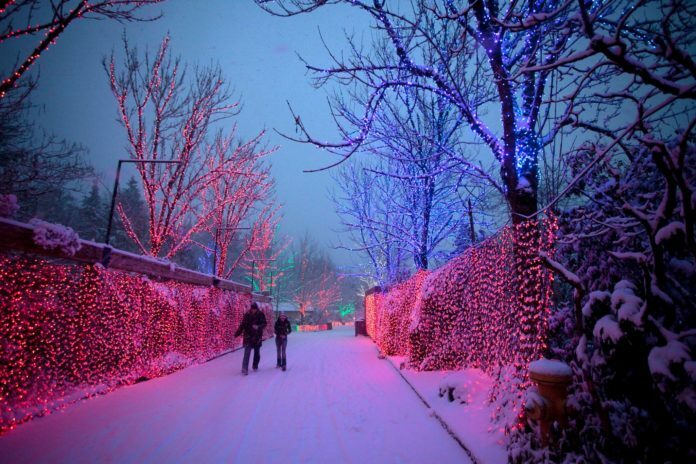 The Oregon Zoo lights are a holiday tradition for many Oregonians. While it’s generally considered a family event, for two nights this November it will be open to adults only and called Oregon Brewlights. Adults will enjoy alcohol tastings as they take in the zoo after dark and the magical lighted holiday displays. What a great place to go for date night! Oregon Zoo Lights. Photo by Aaron Hockley via Flickr CC2. Brewlights will feature more than 1.6 million brightly colored lights. Visitors will be able to enjoy local beer and wine. Tickets include a souvenir cup and 10 beer tastings throughout the zoo. Over 30 local Northwest vendors will be giving samples of local beers, wines, and ciders. There will also be food available from several popular food trucks, as well as live music and animal sightings. The Oregon Zoo Lights. Photo by Sam Churchill via Flickr CC2. When: Brewlights will take place on Tuesday November 27th and Wednesday November 28th, from 5 pm to 9 pm so adults 21 and over can come and enjoy strolling through forests of lit trees and enjoy 3-D light sculptures. Tickets: BrewLights tickets cost $34.95 and include zoo admission, a souvenir glass and 10 drink samples (3-oz beer/cider or 2-oz wine); $29.95 for zoo members. Additional drink tickets will be available on site for $2 each. 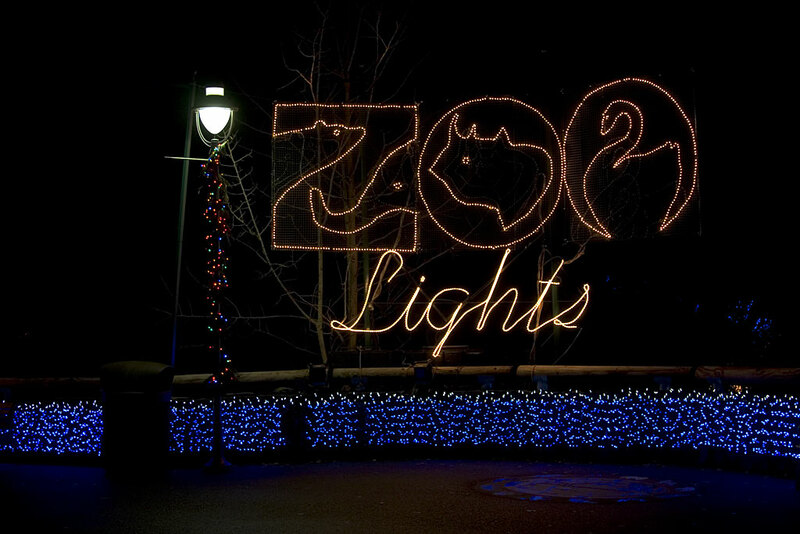 ZooLights-only tickets are $19.95 and include zoo admission for grown-ups only. While beer & wine will be available for purchase at vending stations throughout the zoo, these tickets do not include the souvenir glass or sampling opportunities. You can purchase tickets here. Get your tickets early before they’re sold out! BrewLights is exclusive to guests 21 and over. Valid photo ID must be presented for entry. This is a great event as proceeds benefit the zoo’s conservation, education and animal welfare programs, so be sure to tag a friend you want to take to this event so we can support our zoo. For more information, check out the event page on Facebook or their website. Jessica Tomlinson is a native Oregonian currently living in Southern Oregon. She has been blogging since 2006. She loves nature, photography, hiking, camping, and exploring Oregon's wilds.